Can we take back the control of our data? For the first 25 years of mass internet use, tech companies have owned user data and laid out their own “Terms of Service” in often-ignored private contracts. In 2018, the EU challenged the prevailing US-based, laissez-faire framework with its General Data Protection Regulation (GDPR). Asserting its global reach, the EU laid out a standard for data protection rules that applies to all companies operating in the EU, no matter where they are based. The implementation of the GDPR triggered transatlantic debates over data, privacy, and the future of technological innovation. Where did the GDPR and the earlier German data protection law come from, and where are data regulations headed? 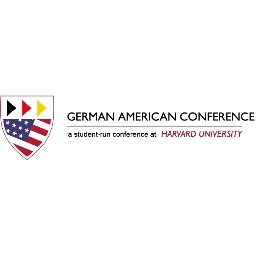 This panel explores the history and future of the divergent approaches of Germany and the United States. How will American tech companies be affected by the GDPR and what does it foreshadow for future US regulation at the federal or state level? Will Germany and the EU fall behind in the fields of AI and Big Data? Ultimately, are privacy and data regulations worth the consequences for data-driven innovation, or can society afford not to regulate the use of individuals’ data?